The honor of hosting the relic was bestowed by the Archbishop of Baltimore William E. Lori, who is also the Knights of Columbus Supreme Chaplain. Click to view a larger image in a new window or tab. 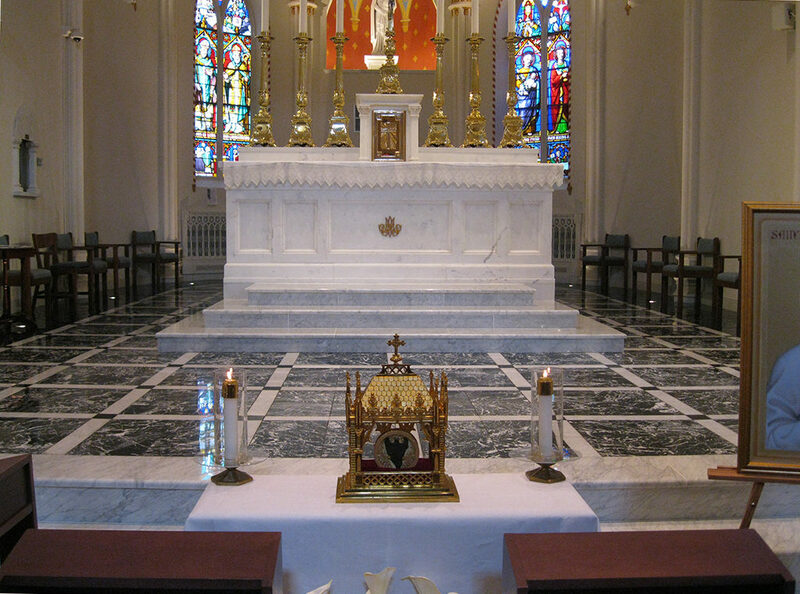 Brought to the Upper Chapel of the Seminary Chapel and guarded closely by Knight of Columbus Vice Postulator Brian Caulfield during its two-day stop in the Premier See of the United States, the heart was venerated by more than 200 visitors over the two days, some simply wishing to approach the heart within its special reliquary in front of the Chapel altar, others finding solace in spending more time in the vicinity of the relic in the chairs set up in the footprints of the original choir stalls. 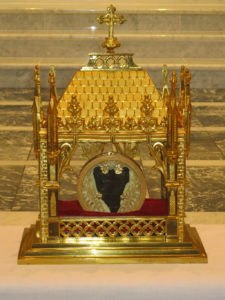 Many families prayed with arms interlocked around the relic. 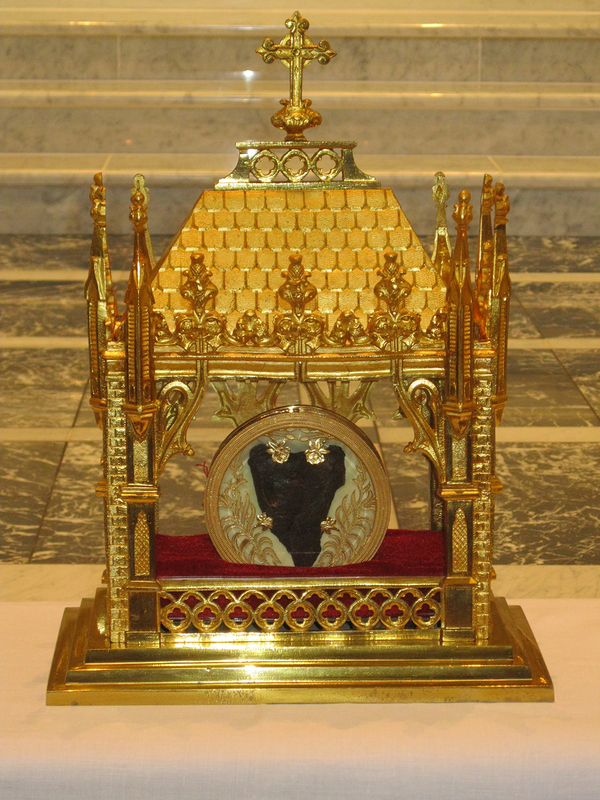 St. Mary’s hosting of St. Vianney’s heart was the culmination of many Knight of Columbus activities throughout 2018 at the place where their founder, Venerable Father Michael J. McGivney, studied and prayed as a seminarian from 1873-1877 before founding the Knights in New Haven, CT, in 1882. St. Vianney (born Jean-Baptiste-Marie Vianney on May 8, 1786, in Dardilly, Lyonnais, within the Kingdom of France) was a French parish priest who is venerated in the Catholic Church as the patron saint of parish priests. He died on August 4, 1859, was beatified on January 8, 1905, in Rome, Italy, by Pope Pius X, and was canonized in 1925 by Pope Pius XI, also in Rome. St. Mary’s on Paca Street is the patrimonial site of the Society of St. Sulpice, Province of the United States, and the pilgrimage center created from the grounds of the first Catholic Seminary in the U.S. The site contains the 1808 historic Seminary Chapel and the 1808 Federal-style Mother Seton House.